It's probably not a surprise to hear we love history in this house nor that Amber always declares the current time period being studied to be her "all-time favorite." When we were offered the chance to review Project Passport World History Study: Ancient Egypt from Home School in the Woods, of course Amber announced "I LOVE Ancient Egypt. It's my favorite!" Now to be perfectly honest, it wasn't a huge leap of faith for us to accept a review for this study as we own nearly every other Home School in the Woods product. 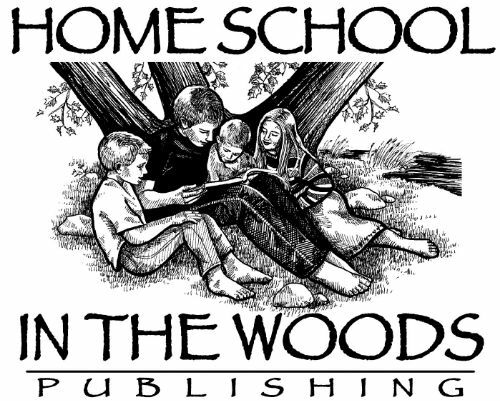 For those who may not have heard of Home School in the Woods, they produce stunning, high quality, hands-on studies for many time periods and for a wide range of ages. The Project Passport World History studies are their latest series with Ancient Egypt being the newest installment in the series. For the purpose of the review we were provided the digital download of Project Passport World History Study: Ancient Egypt, but it is also available as a physical CD. The options for just one "Stop"; Creating the Step Pyramid from the displayed lesson. Exactly what is Project Passport? I know on the surface it can look simply like a large lapbook, but in actuality it is a full topic study. The publisher lists the length to complete the study be 8 to 12 weeks when used as a unit study. However, it can also be used as a supplement to another curriculum and take as long as needed to complete the topic. Project Passport: Ancient Egypt contains 25 distinct lessons, which are called "stops" in keeping with traveling history tour theme. An Itinerary - which is the detailed teacher instructions for the particular lesson. It lists the timeline items, map locations, and any audio tours related to the lesson. Then all the possible projects for the lesson are shown with step by step instructions. Guide Book text - The student reading for the lesson. Creating the Kemet Chronicle newspaper to put in her Scrapbook of Sights. Home School in the Woods recommends the Project Passport series for students in grades 3 through 8. Amber was finishing 7th and starting 8th grade at the time we completed this study. While I would definitely consider it only a supplemental product for the average high school student, in our mind it completely fits the age range listed. We did alter some of the assignments and projects to make them more suitable for Amber's age and interests. That is one of the huge benefits of this product; it can be adapted to fit a broad range of ages and learning needs. We view the project ideas as something like a buffet: there is an overwhelming amount of options and we pick what looks good to us. Setup for this study was pretty simple requiring very little printed off in advance. Although the teacher instructions and student reading are digital products, I avoided printing those by transferring the itinerary and guide book PDF files to our iPads for use. I did print the timeline base pages on colored card stock to be stored in a three ring binder along with the map. Instead of paper and glue for the timeline figures, I printed them on full page label sheets. Amber then had the choice to color the figures if desired because of the label texture. Most importantly, she was able to cut out the figures and peel off the backing to attach them to the timeline base without using glue. It eliminates the mess and makes her more cooperative. I also printed the map labels on the same sticky back label sheets. Working on her Ancient Egypt timeline during a long car ride. The finished cartouche! Do you know what it spells? Since we used the Ancient Egypt study over the summer, Amber had more available time to devote to her lessons. She chose to not go through it a lesson, or stop, at a time. Instead she read through all the Guide Book texts in two settings, completed the timeline in a couple of sessions, and the map all at once. We looked over the many possible projects and selected a few for her to complete. It was easy to print off the project pages for those items when Amber was ready. Although Amber spent two whole afternoons working on her Ancient Egyptian temple diorama and loved writing in hieroglyphics, one of her favorite assignments was the Kemet Chronicle newspaper. We printed the pages for the newspaper on parchment patterned stock and Amber completed a few articles at a time. Each article assignment begins as a headline with limited writing space. This gives the student a specific topic to write about, but they learn to be concise and complete. Interspersed with the articles are partially completed advertisement blocks that bring humor to the entire project. Amber spent more time on those ads than any other individual aspect of the study. It met a need for her to demonstrate her knowledge through creative and humorous means. Working on and proudly displaying her Ancient Egyptian temple diorama. It does take a few moments to become acquainted with the structure of the whole product. Since this wasn't my first time using a Project Passport study, I was entirely familiar with the setup. However, I will admit the layout can be overwhelming due to the shear quantity of projects until you are more familiar with the structure. Project Passport World History Study: Ancient Egypt is a perfect blend of serious learning with creative reinforcement. Whether you use it as a complete unit study or as a supplement to provide depth to other lessons, it easily molds to the needs of your student. We couldn't be more pleased with this Ancient Egypt study! Please check out how other members of the Review Crew used the different eras of Project Passport!